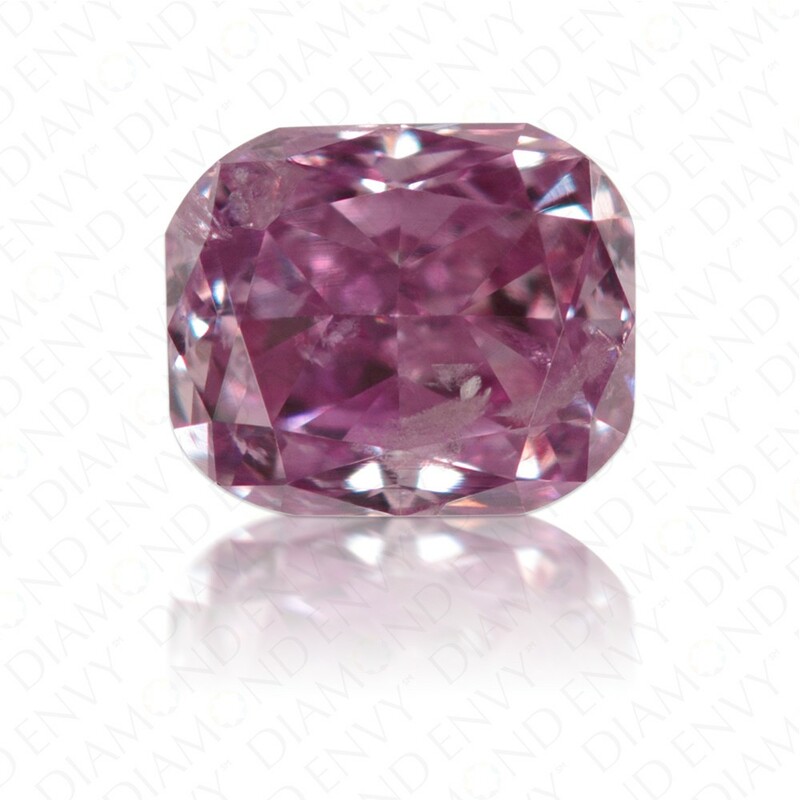 This rare natural Fancy Intense Pink Purple diamond is as beautiful and elegant as an orchid of the same color. 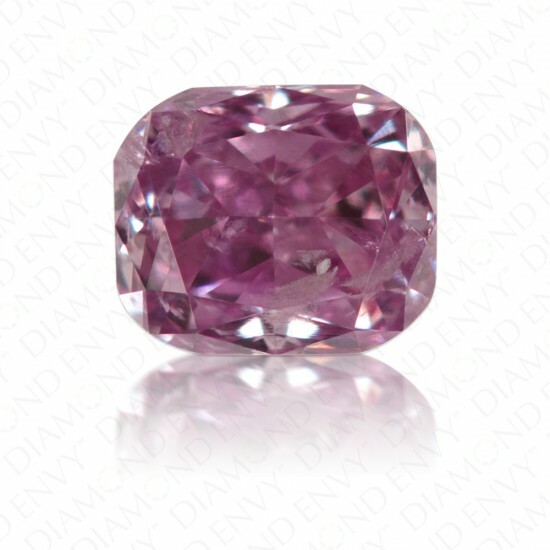 The elongated cushion shape emphasizes this diamond's color and fire. Even distribution of color insures that no matter which way it's set or looked at, the rich and rare Pink Purple color will live up to its Intensity grade. 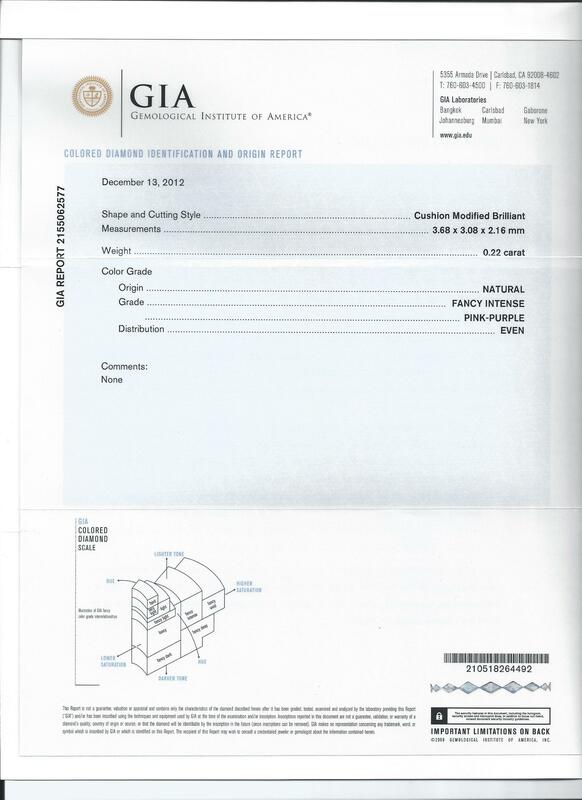 GIA certified.